Real rapport develops when you value the needs of others. Not to dismiss their potential effectiveness, but these are “tricks.” Real rapport develops when you value the needs of others. It comes from a heart-felt choice to treat people well, from a deep-seated philosophy that governs your approach to relationships. Some people choose to apply rapport as a means to accomplish their own ends, whereas others naturally build rapport because they truly respect and value the needs of others. We can instinctively feel the difference when we encounter someone who is genuinely interested in us as opposed to someone who has an ulterior motive. Peter, a CEO with a distinguished career in the British Special Forces, described to me his experiences with two talented superior officers. Jim was a strictly by-the-book officer, studiously following every rule. Equally talented Mick, friendly and laid-back, would brighten a room when he walked in the door. Mick’s soldiers respected him for his military skill but also for his innate humanity, his knack for making them feel valued. Jim’s soldiers, while respecting his military skills, attributed his success to self-serving interests. Something about him never felt genuine, never quite real. Adding insult to injury, Jim was oblivious to his men’s perceptions. Jim and Mick went through the grueling Special Forces selection process at around the same time, and both performed superbly well on the physical aspects of the role. But when interviewers weighed the candidates’ personalities, Mick passed and Jim failed. Scientists believe that oxytocin, a neurotransmitter and hormone, plays a major role in prompting empathy, trust, compassion, and generosity, to name just a few human traits. They have nicknamed it the “bonding” hormone. We are wired to trust each other, but life experience can shift us away from that natural tendency. When we feel safe and nurtured in our relationships and environments, the release of more oxytocin supports our ability to trust others. When we feel unsafe and disregarded, a lower level of oxytocin diminishes our ability to trust others. When we are in the presence of a leader with integrity, one who is honest and trustworthy we respond positively on a neurochemical level. Try to create a safe culture where people freely ask for help and never fear making a mistake. Stress that no idea is too silly or dumb to present in a meeting. Be sure to give a voice to those who don’t naturally take the floor. Research has shown that those who take the floor with ease and talk confidently are perceived as knowledgeable when it might be the introvert in the room who possesses the information that’s needed. It means thinking of others every time you interact with them, not just some of the time. Recognize, value, and rewards people’s strengths. Promote critical thinking, innovation, and creativity. When interacting with your team or anyone, try to be as in the moment as possible. It makes a world of difference for building trust and activating oxytocin. Model the attitudes and behaviors you expect of others. 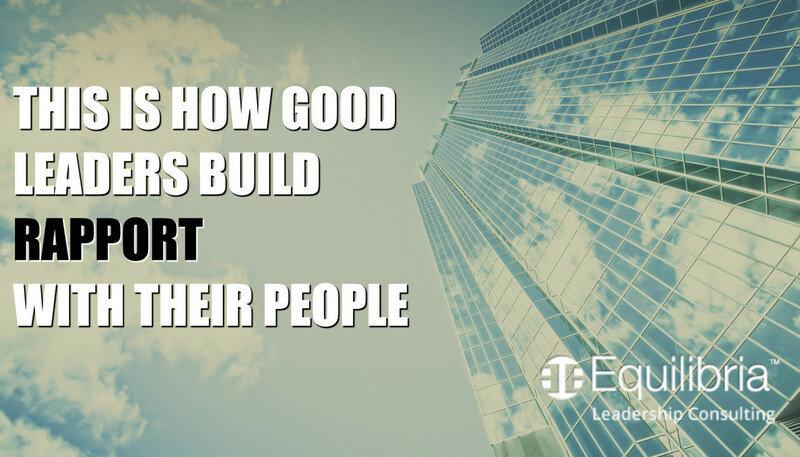 Your people will notice if/when you recognize, value, and reward. Leaders who consciously, truly, and sincerely wish to relate to their people must actively listen to them before they themselves speak. Turn off the voice in your head that constantly makes assumptions, judges the speaker, and contemplates what you will say next. Don’t finish the other person’s sentences or interrupt their train of thought. As a leader, you must pay close attention to body language, both your own and those of your people. preoccupation with surroundings or a handheld device. A skilled influencer recognizes that her greatest power stems from the sincerity and genuineness of her relationships, which spring from a conscious decision to embrace a life philosophy based on how she interacts with people rather than what she can get from people. A good boss cannot act like everybody’s best friend, but they can relate to people in a way that engages them to do their best work. If you focus on treating your people with kindness and respect, and let them know that you value them and their work, you will receive the same in return. Your influence will grow, and so will your personal and business success.